During the Italian Renaissance a new set of moral values developed. Aristocracy and noble background were not longer important. Instead, individualism was valued, and people now focused on their own individual needs. Also, at this time individuals began to looking for other sources of information other than the Bible. Trade had made Italy prosperous. Now everyone had a chance for upward mobility. As fast as they could, the Italians were moving away from their medieval/feudal roots. There were now money making opportunities everywhere. However, competition was fierce and if you wanted to make money and thrive in the prosperous mercantile class then you had to be good in math, and be able to read in more than one language. Successful people were now required to speak in Greek, Latin, and the native language of Florence, which was Tuscan. At the time of the Renaissance, Tuscan was the most common language spoken in Italy. It would eventually evolve into modern Italian. A good education was now very important. Schools focused on five academic areas:grammar, rhetoric, poetry, history, and moral philosophy. These subjects were all deeply inspired by the great Roman orator and politician Marcus Tullius Cicero. They called this course of studies, the “studia humanitis” and the students became known as the “Humanisti,” or Humanists. At the time, Humanist qualities were called “virtu,” which comes from the Latin word “vir.” In Latin it means, one who possesses skills and abilities, is well-rounded, and a complete human being. This new educational movement was geared toward training lawyers, bankers, politicians, and merchants, and it would have an enormous impact shaping the city of Florence. Humanism became a new approach to the literature of the past. The Humanist placed great importance on reading the original text of an authors work. One result of this was an explosion of information about classical texts. The Humanists searched Byzantium and Europe monastic libraries for ancient works by classical writers. As a result, they discovered an amazing amount of ancient Greek and Latin texts that had long been lost. 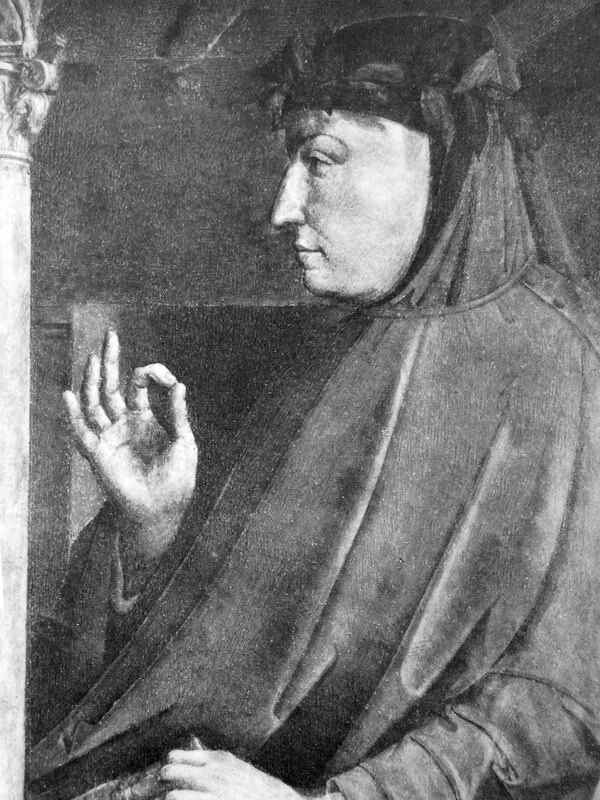 Francesco Petrarch (1304-1374) is considered to be the father of Humanism. He spent most of his life studying Cicero and ancient Roman manuscripts. Francesco restored the study of classical Latin and Greek. During Medieval Europe the only education available was from the Church. At the time, all education centered on the Scriptures and their interpretation by Christian theologians. Under the leadership of Petrarch, that all changed. The Italian Renaissance now had a new educational model. Under this new model students were trained to be complete human beings. They were taught the Greek maxim: Man is the measure of all things. Humanists believed that they alone were responsible for their destiny. Not only could they read and write in Greek and Latin, but they were also taught fighting skills. Humanists were required to be in good physical condition, and they could defend themselves if attacked. They were also required to be extremely polite, practice their manners, and to maintain a good appearance.